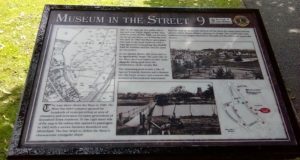 One of the Museum in the Street displays which tell the story of Knutsford’s history. 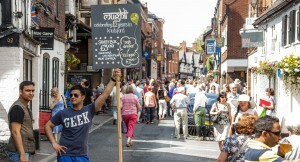 The first Knutsford Promenades took place in July 2013. The inspiration for the event came from the ‘Museum in the Street’ static displays originally arranged by the Knutsford and District Lions. “I was talking to a couple of visitors who were reading one of the signs on King Street and thought it would be a marvellous idea to bring Knutsford’s heritage to life with a street festival – and that’s when ideas for what is now the annual Knutsford Promenades started to take shape,” said founder Sarah Flannery. Within the space of three years, the KP partnership base has grown significantly. In 2014 it became a community association whose aim is to promote learning about history and heritage through the performing arts and developing the cultural economy. The KP team continues to lobby for support from key figures, businesses and the community and works hard to develop successful partnerships with local organisations – including schools and other youth settings – and local artists, arts organisations and heritage groups, combined with professional drama practitioners, National Portfolio organisations, musicians, dancers, puppeteers, artistes and digital artists to produce an event that combines community-based open-air street theatre with music, song, dance, and large-scale props. For 2016, the Knutsford Promenades team took the town’s heritage national by organising the first town-wide participation in the annual Heritage Open Days festival. 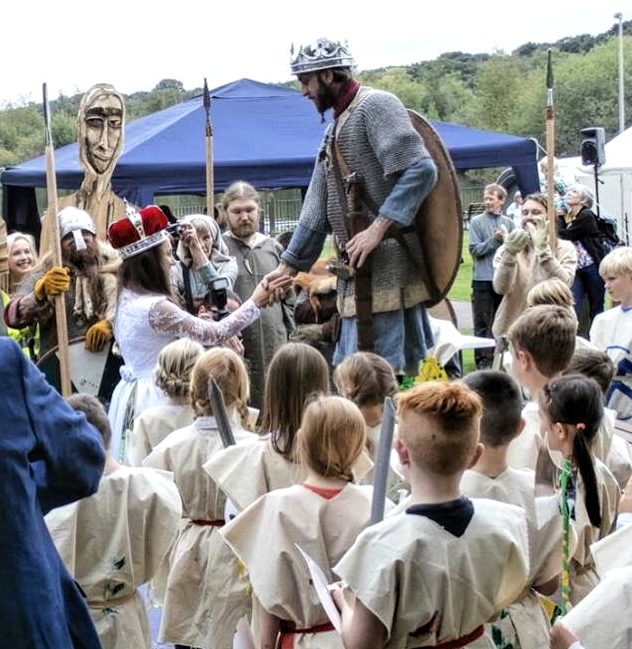 Some 34 events and sites formed part of a four-day programme which celebrated 1,000 years of Knutsford’s history since, as the town legend has it, King Canute forded the River Lily in 1016. Richard Harding Watt, Elizabeth Gaskell and Sir Henry Royce were just three of the historic figures whose links with Knutsford were celebrated as home and business owners opened their premises to the public, businesses stage special events, and the whole community got together to celebrate Canute’s Crossing led by artist Russell Kirk and the Chester Vikings. Heritage Open Days is co-ordinated nationally by the National Trust and has been running for over 20 years. It is England’s contribution to European Heritage Days which takes place across 50 countries on the same September weekend every year. 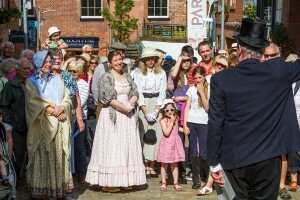 In 2015 the Knutsford Promenades delighted, entranced, informed and entertaied Knutsfordians, visitors and tourists alike as some 350 performers, singers, musicians, dancers and artists took part. The theme was ‘Texts from the Front’: memories and stories about Knutsford’s association with conflict and reconciliation across time brought alive through dance, drama, music, puppetry and visual arts. The Knutsford Promenades was led by The Universal Soldier, a giant puppet created by renowned Chester-based artist and puppeteer Russell Kirk, who journeyed through time and place in his role as master of ceremonies moving along Princess Street during the afternoon and into Canute Place for the evening finale. In 2014, the Promenades organisers invited Knutsfordians and visitors to take a stroll on an historic promenade around the town. Promenades organisers wanted to recreate the ‘promenading’ style of old, but in time-travelling fashion as promenaders dressed in clothes appropriate to either 150 years ago, 100 years ago or the 1980s to echo three key milestones in the town’s history celebrated in 2014: the 150th anniversary of the Royal May Day, the centenary of the start of WW1 and the Knutsford Heritage Centre’s silver anniversary. The Knutsford Promenade 2014 route included sites of cultural and historic interest to the town, many including a short narration, piece of physical theatre or music to create a real community atmosphere and ‘promenading’ entertainment. 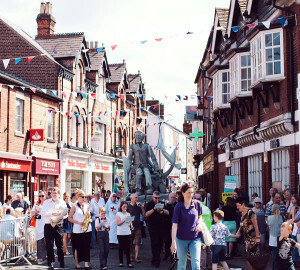 In 2013, Knutsfordians were invited to take a stroll through the town’s history and heritage during the two day event. Local schools and performing arts groups worked together to research stories about Knutsford’s past to turn into street performances which took place in different locations throughout the town. More than 100 young people and adults brought the open air celebration to life. 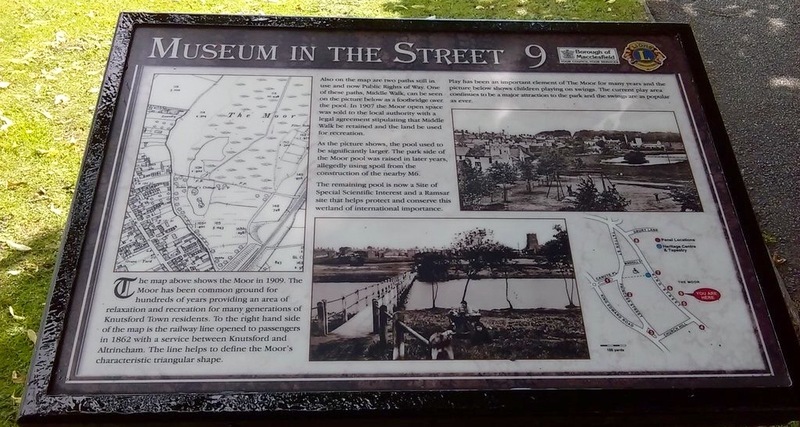 “This is a fantastic opportunity for Knutsfordians to raise their awareness of the history and heritage of the town as well as being a focus for their thinking about its future,” said the first press release.